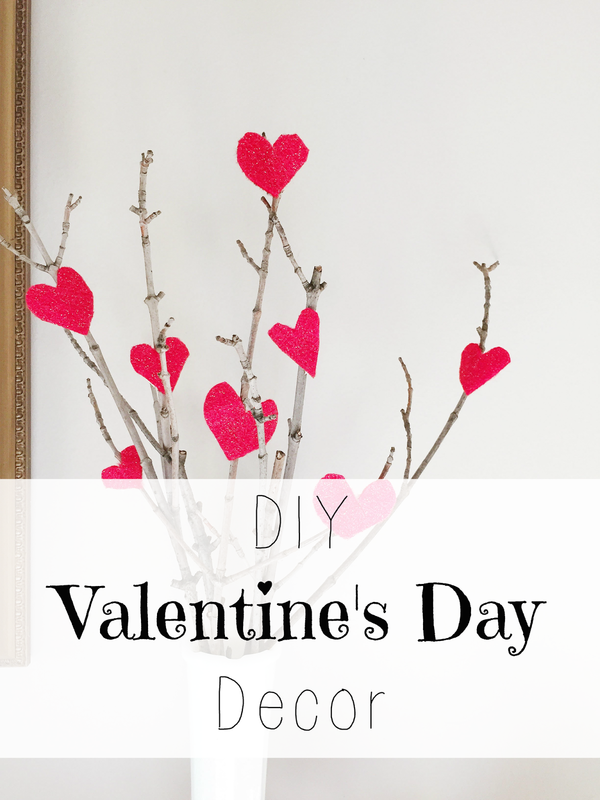 Today I am showing you two ways that I decorated my room for Valentine's Day. Both of these decorations were really inexpensive and easy since one material you need is twigs! 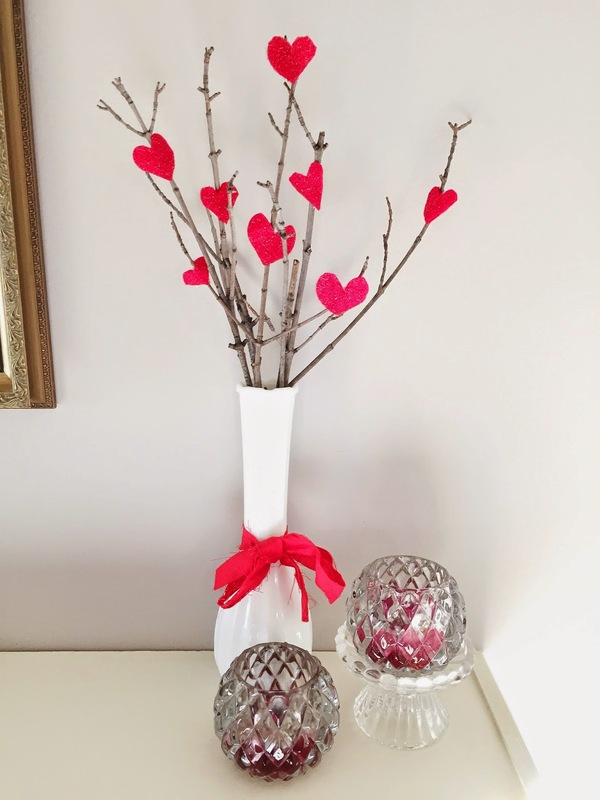 First is this cute vase with twigs that is perfect for a mantle or dresser! I highly recommend getting a narrow vase like this one. I originally tried to use one with a wider opening, and the twigs kept falling over and not staying where they need to. I started out by making a heart template, but by the end I just cut some different sized hearts out. I ended up using 8, but you can use even more if you choose to! 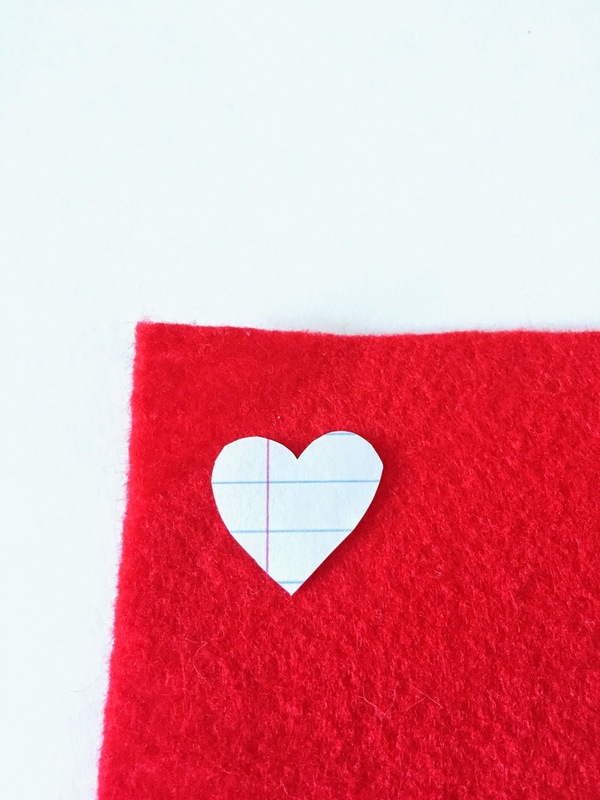 I ended up just taping my hearts to the twigs, but you can use glue if you choose! 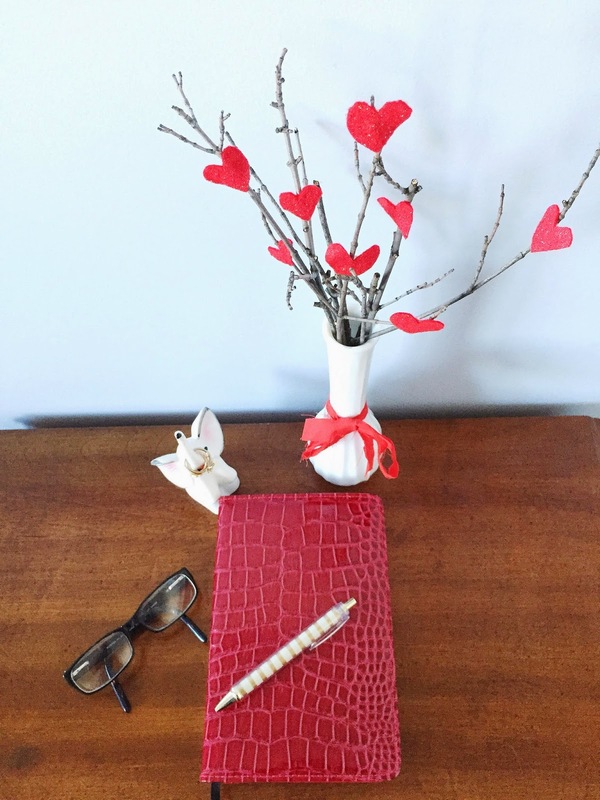 I love how it turned out and it definitely adds quite a bit of Valentine's Day spirit! 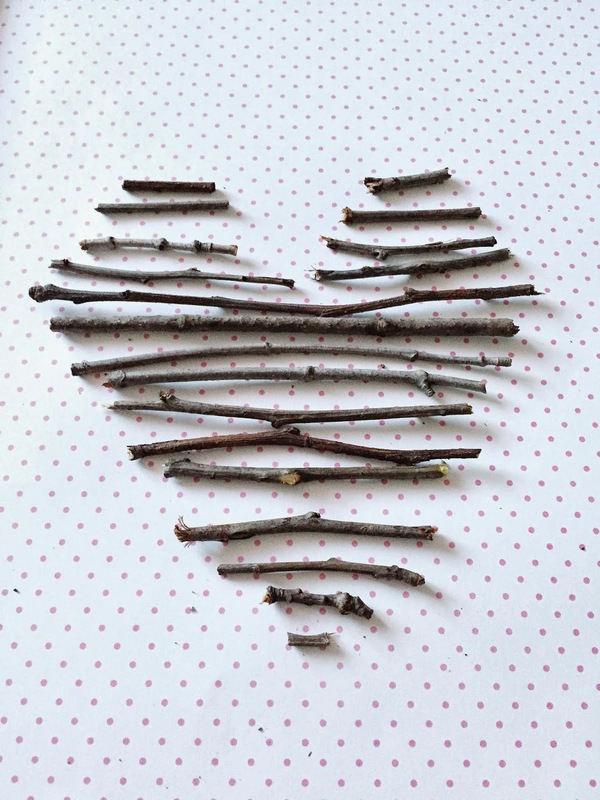 Next I made a twig heart to hang on my wall. 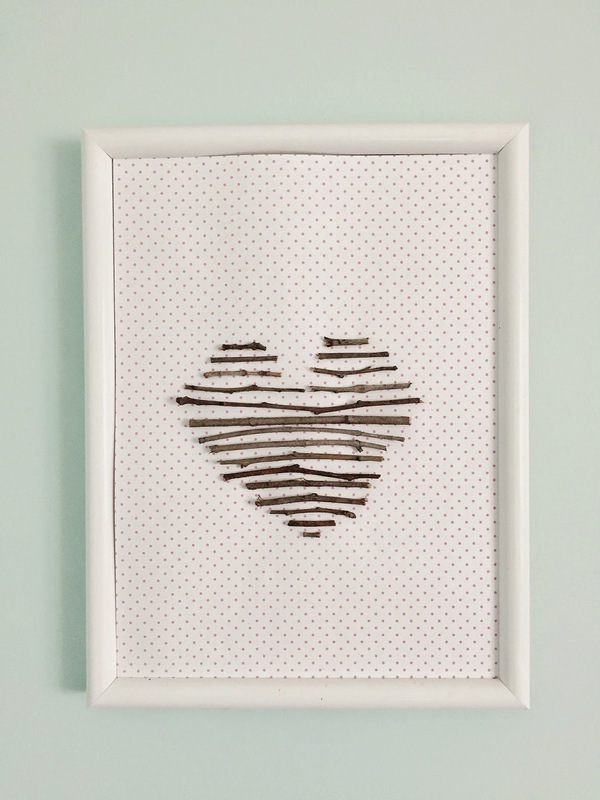 This would be such a cute addition to a gallery wall too! I began by breaking my twigs into pieces and arranging them so they looked like a heart. Then I cut a piece of scrapbook paper to fit my frame. After this I began gluing the twigs to the paper until I ended up with an adorable heart! I love the way both of these turned out and it made me want to try even more DIY decor projects in the future! Will you make either of these? 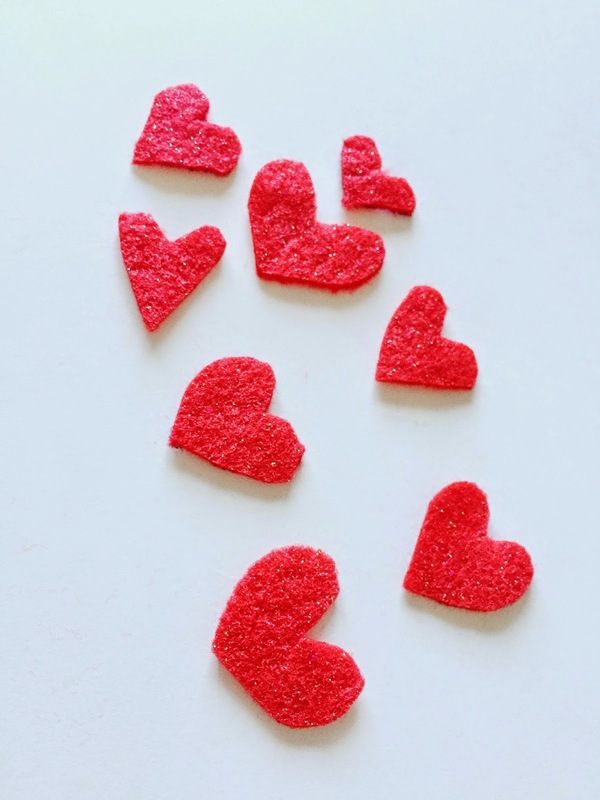 What DIY ideas do you have for Valentine's Day? Share in the comments!